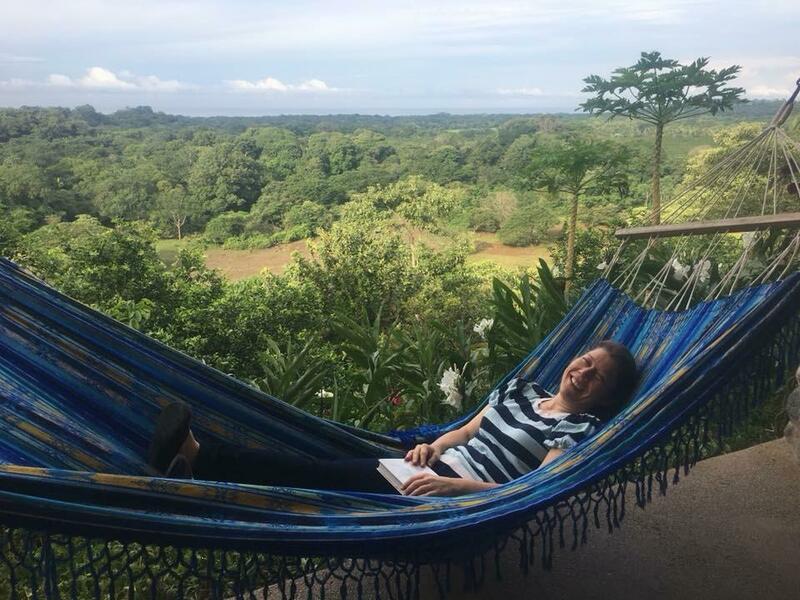 Practice Yoga in a magical healing setting overlooking the Jungle and Ocean, Soak up the sun, and enjoy the ocean water in Costa Rica with Marie Green Yoga! We will enjoy a deep, transformational morning Yoga Flow gratitude practice together. Asana, Chanting, Mudra, Meditation. Enjoy a nourishing breakfast together after Yoga. Join the daily included outing with the group and explore different beautiful beaches that Nosara has to offer. They are amazing!!! Lunch at Costa Rica Spa. Mid-day free time on Your own for massages, SUP boarding, surfing, hiking, horseback riding on the beach, lounging in the pool overlooking the jungle, monkey tour or reading your favorite book. Then meet back up for a late afternoon Restorative Yoga Class, before enjoying an all organic, local, delicious evening meal together. ONLY ONE SUITE AND 3 ROOMS LEFT!!! The rooms are large and in a beautiful setting! Find 3 friends and book one of the spacious quad rooms and get $100 discount per person. The Suites, Double and Triple accommodation are very comfortable and have plenty of space for you and a friend or two. Extra days can be added before or after the retreat for an additional cost. Let us know if you’d like to extend your stay. We recommend flying into Liberia, Costa Rica (airport code LIR). There are non-stop flights from Denver on United Airlines. Here is the shuttle we recommend to take you from the airport to the Yoga Spa.